The Pentagon Papers documented a systematic pattern of lies and deception about the United States’ involvement in Vietnam stretching from Presidents Truman through Johnson. They revealed, for example, that the U.S. had deliberately expanded its war with bombing of Cambodia and Laos, coastal raids on North Vietnam, and Marine Corps attacks, none of which had been reported by the U.S. media. They also revealed that President Johnson had decided to expand the war—including plans to bomb North Vietnam—while promising to “seek no wider war” and to paint his opponent Barry Goldwater as the warmonger during the 1964 presidential campaign. The Pentagon Papers did help to change the public view of its government and the Vietnam War. The leaked documents—and the judicial challenges that followed—also reinforced the importance of a free and independent press in the workings of a democracy. His trial, on twelve felony counts posing a possible sentence of 115 years, was dismissed in 1973 on grounds of governmental misconduct, which led to the convictions of several White House aides and figured in the impeachment proceedings against President Nixon. 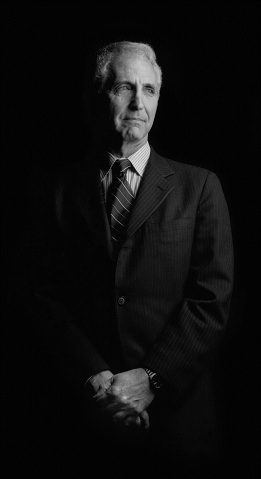 Ellsberg is the author of two other books: Papers on the War (1971) and Risk, Ambiguity and Decision (2001). In December 2006 he was awarded the 2006 Right Livelihood Award, known as the “Alternative Nobel Prize,” in Stockholm, Sweden, “…for putting peace and truth first, at considerable personal risk, and dedicating his life to inspiring others to follow his example.” Ellsberg is currently a Distinguished Senior Fellow of the Nuclear Age Peace Foundation. The Annual Frank K. Kelly Lecture on Humanity’s Future was established by the Nuclear Age Peace Foundation (www.wagingpeace.org) in 2002 in honor of Frank K. Kelly, a founder and senior vice president of the Foundation, who had a remarkable faith in humanity and its future. His career included being a journalist, a soldier, a Neiman Fellow, a speechwriter for Harry Truman, assistant to the U.S. Senate Majority Leader, and vice president of the Center for the Study of Democratic Institutions. The Nuclear Age Peace Foundation was founded in 1982. Now in its 30th year, its mission is to educate and advocate for peace and a world free of nuclear weapons and to empower peace leaders. The Foundation is comprised of individuals and organizations worldwide who realize the imperative for peace in the Nuclear Age. The Nuclear Age Peace Foundation is a non-profit, non-partisan organization with consultative status to the United Nations Economic and Social Council and is recognized by the UN as a Peace Messenger Organization.